John Hoglund is Director Emeritus and currently serves as an instructor at the Maryland Fire and Rescue Institute at the University of Maryland. He is a third generation member of his family to be in the fire service. John is a former fire chief, a U.S. Marine Corps veteran, and a member of the Veterans of Foreign Wars. He serves as chair of the NFPA Technical Committee on Fire Service Training. Through the years, he has had a strong interest in the accreditation and certification for the fire service. He has been a regular IFSTA Validation Conference attendee since 1971. He has served on many committees including Essentials, Hose, Company Officer, Chief Officer, Instructor, Pumping Apparatus, Aerial Apparatus, Administrative, and Select Advisory Committee. 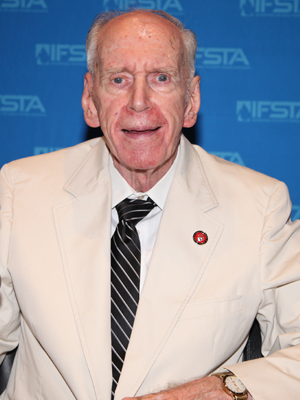 John was first elected to the IFSTA Executive Board in 1982.